Businesses who are mandated into Making Tax Digital for VAT for VAT accounting periods starting on or after 1 April 2019 must use 'functional compatible software'. 1. To keep records in electronic form (digially). 2. To use functional compatible software. 3. 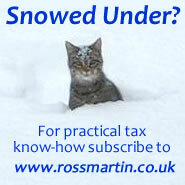 To submit VAT returns via your software to HMRC. If you are computer literate, and not excluded from MVD on the grounds such as being digitally inept, then you must now use software that can directly report your VAT returns to HMRC. Under MVD you will not be allowed to use HMRC's current online VAT service and key your return figures in directly. For the initial phase of MVD your software is required to submit the 9 figures that make up the VAT return to HMRC. You need to review your bookkeeping systems to ensure that you are recording your data digitally. If you use different types of software or apps, you need to ensure that you have a digital link connecting the packages. If you use a spreadsheet to calculate your VAT returns, you need to use bridging software to transmit your spreadsheet VAT entries to HMRC. If you use a spreadsheet to record raw data you will need a digital link from that to your accounting software. A link is digital if it links software electronically in such a way that it remains possible drill down into the data, for example, importing a CSV file allows you to drill down into the original file and review its data, whereas taking a spreadsheet total and adding just that total to another software package does not allow you to drill down into the original spreadsheet because it is not digitally linked. There is a 'soft landing' on digital links between bookkeeping, accounting or spreadsheet software: linking is not required for the first year. The MVD pilot opened to some businesses on 16 October 2018. Businesses with access to functional compatible software can start making MVD submissions.